Corner-to-corner crochet (often just called C2C crochet) is a terrific technique to add to your wheelhouse. With C2C crochet, you begin in the corner of a crochet project, typically a crochet blanket or afghan square, and work towards the other corner in a way that produces a finished project that looks like a textured, layered version of the classic granny square. It is a unique technique with an original look but it builds upon basic crochet skills, which makes it is surprisingly easy to learn. This guide shows you how to learn corner to corner crochet and showcases some of the best C2C crochet patterns for practicing the technique. Watch Now: How do you Corner-to-Corner Crochet? 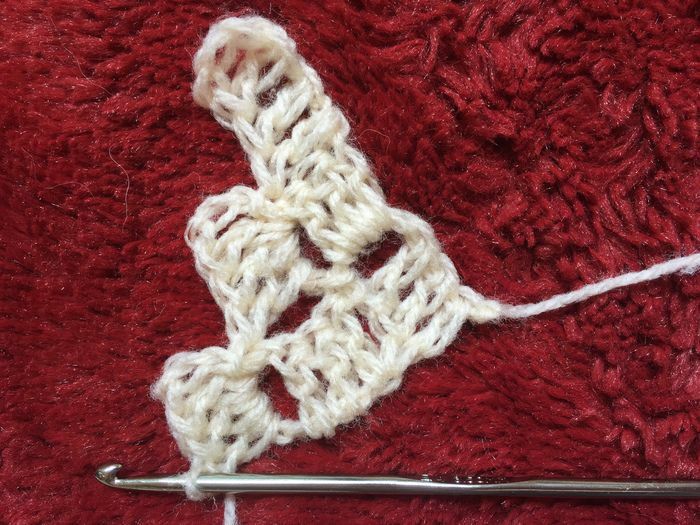 How to Crochet Diagonal Square. This is a step-by-step photo tutorial for c2c crochet (which, by the way, is also sometimes called diagonal box crochet). This guide takes you through all of the basic steps so that you can get the hang of this technique, with photos included for each step. This resource should be sufficient for a beginner learning C2C crochet. C2C Basic Stitch Tutorial.This free crochet tutorial from Craftsy also shares the basics of C2C with photos and written instructions. We all learn in different ways so it can be helpful to look at different sets of basic instructions when learning a new technique like this. Step-by-step Photo Tutorial for Corner to Corner Crochet. Lauri Bolland explains that she learned this stitch decades ago, known more commonly at the time as the diagonal box stitch, and she found it difficult to understand how to complete it without photos so she created her own photo tutorial to show others the way to work this pattern. This one is a free download pattern through Ravelry, perfect for folks who learn well from still images. How to C2C with Color Changes. Make and Do Crew has another great photo-rich written guide to corner-to-corner crochet. This guide also links specifically to instructions for color changes within this technique. How to Crochet a Corner to Corner Afghan. If you are the kind of person who learns best from watching crochet videos, then this is a good corner-to-corner crochet guide for you. It's by Mikey of The Crochet Crowd, who is skilled at providing detailed video instructions, working through each step so you'll get the hang of it. Another option for a good video tutorial comes from The Purple Poncho who includes C2C color change instructions. Whether you work best using written instructions, photographs or videos, there is a corner-to-corner crochet stitch tutorial out there for you. These options should get you well on your way to a solid understanding of this beautifully textured stitch pattern. Corner-to-Corner Emoji Blanket. Take your favorite emojis and turn them into an afghan using the C2C graphghan technique. Owl Crochet Baby Blanket. This is arguably one of the most adorable corner-to-corner crochet blanket patterns. It is so cute! It would look great in any nursery. Sheep Graphghan C2C Blanket. This was the first corner-to-corner crochet graphghans that Sarah designed and it remains a great choice for anyone. Christmas Graphghan C2C Blanket. This is the ultimate Christmas blanket and you can easily use the individual squares to create cushions and other fun holiday projects. Working through Sarah's free c2c graphghan crochet patterns is a great way to fully understand this amazing stitch and get a sense of how to turn any image into a blanket using this technique. C2C Striped Crochet Blanket. This is a self-paced crochet-along with many instructional videos and photos, offering you the chance to learn to crochet a striped corner-to-corner blanket one step at a time. C2C Chevron Baby Blanket. This is a beautiful combination of the classic chevron blanket and the popular corner-to-corner technique. It's a free pattern from One Dog Woof. Winter Day Corner to Corner Blanket. This free crochet pattern by The Art of Craft shows how variegated yarn can create beautiful color pooling in C2C blankets. Spring Into Summer Blanket. Susan of Felted Button does some of the best colorwork you'll find in crochet and this corner to corner crochet blanket is a great example of that terrific use of color. Love Triangle Cushion. Crafty CC uses smart color changes to create triangles that become a bright heart in the center of this C2C crochet cushion. C2C Basics Scarf. Andee Graves shows how to work the corner-to-corner crochet technique and turn it into a simple scarf. Corner to Corner Granny Shawl. Zooty created this free crochet pattern that puts a twist on the basic blanket design and makes it into a shawl instead. Corner to Corner Dishcloth. This free pattern by Jessica's Crochet is an instant gratification project for people looking to make something useful using C2C crochet. Corner to Corner Crochet Earrings. Mandy Robinson offers this free crochet pattern as a Ravelry download. You'll also notice she offers several other accessories patterns that utilize this stitch. Once you have started playing around with the C2C stitch pattern you will see that it's a fun, meditative stitch that has versatile uses and can be worked up nicely in any yarn. Enjoy adding this technique to your crochet repertoire!